Once you have completed your trip planning, gotten all your supplies on board, you’re now ready to roll to Valdez, the drive will begin on the highway (two lanes) to Palmer and quickly become a scenic, sometimes winding 5 – 6 hour (300 miles) drive. In general, the roads to Valdez are very well maintained but watch your speed as frost heaves (waves in the road) are usually present. While cell phone coverage has greatly improved over the last few years, there may very well be places you don’t have any service, so load up directions on your mobile device before you drive past Palmer. Palmer and Glenallen are the two places where fuel will be most affordable. If it’s snowing, make sure to take your time and drive slowly. 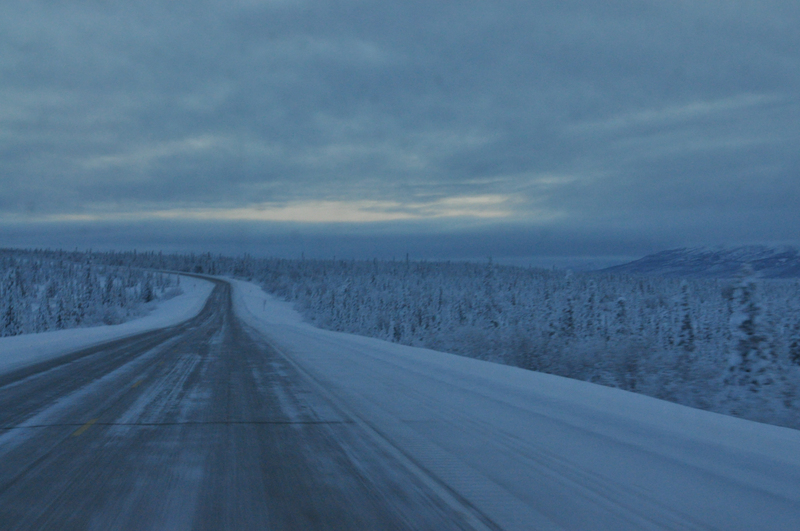 The highways are usually well plowed but in strong storms it can be an undertaking to keep the long roads clear. Hopefully you are afforded a nice day with dry pavement and have the opportunity to see the north side of the Chugach mountain range.